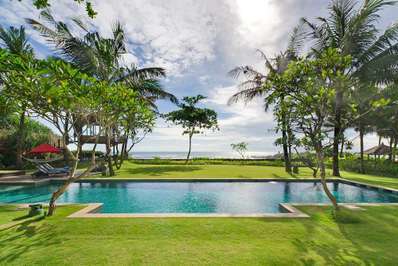 Every inspired Bali fan knows that some of the best experiences that this island might offer are its unique music, cultural and yoga festivals. The upcoming BaliSpirit Festival is not an exception to this rule, and it’s a great chance to experience one of the largest yoga, dance, and music events in the world. Taking place once a year in March or April, the BaliSpirit Festival caters to a wide range of individuals and tastes. No one is overlooked and you will surely find something to entertain, entice or relax you whilst visiting. So, let’s see what you can expect from this festival in 2019! The BaliSpirit Festival was established with the dream of becoming a front runner in international and holistic wellness, as well as world music. 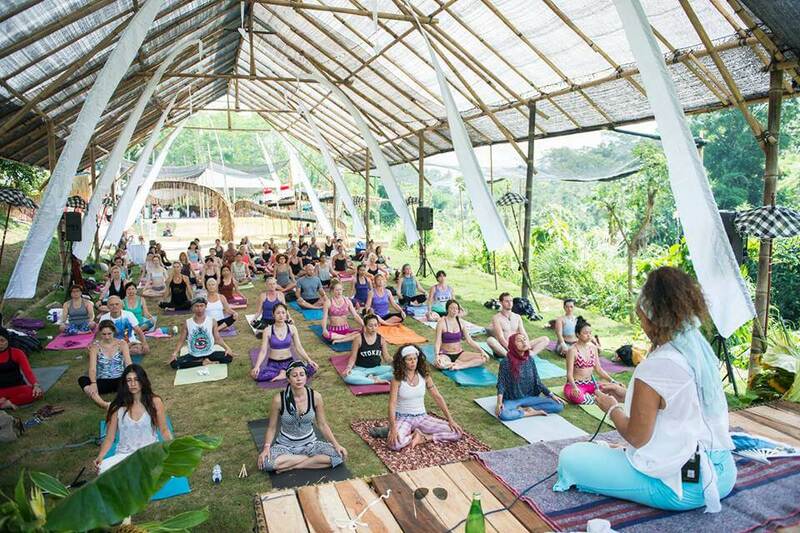 The BaliSpirit festival includes many workshops and seminars that focus both on exterior health and well-being, together with the internal and mental health and clarity. This is completed through the medium of dance, yoga, music, and lectures. Alongside the health benefits for visitors, the event aims to give back to the local Ubud community, Bali and greater Indonesia. By using the event to work in collaboration with local charities and providing education and financial aid, BaliSpirit aspires to keep Bali flourishing for all. BaliSpirit Festival works with two community outreach programmes: one for health – Ayo, the HIV and aids education programme, the second – is Bali Regreen for a reforestation action plan. When and where is the BaliSpirit Festival held? The BaliSpirit Festival takes place over 7 days and 8 nights around the March/April time each year in Ubud in Bali. In 2019, it’s taking place on March 24-31st. 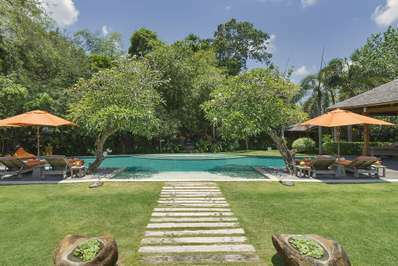 The festival venue Bali Purnati is located a short drive to the South of central Ubud. Surrounded by vibrant green rice fields complete with a blessed river flowing past could there be a more perfect location for this laid back festival. BaliSpirit Festival is unique. The limitless schedule assures a varying experience to everyone participating. Therefore, the range of individuals that you may find there is likely to be as diverse. For some, this may be daunting, for others exciting- as this offers the chance to meet new people and experience new things. Whether you are visiting as a solo traveler, a couple or a family be sure to check out the itinerary so you don’t miss the specialized events tailored to your interests. 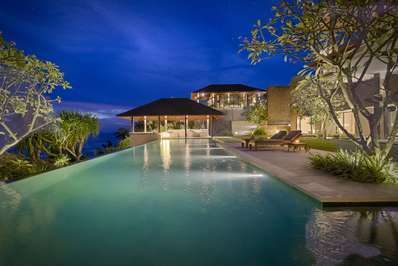 So why should you visit BaliSpirit? Whatever draws you to this relaxed gathering, a search for inner peace or an exciting new yoga work out delivered by the best instructors you are sure to find it. Performers, Teachers and guest speakers are hand-selected from around the world to display and teach their way of life. With workshops teaching yoga and meditation, dance and movement, personal development, healing and breathwork, you will always be busy with something exciting. With so many events and activities, it may be hard to choose which to visit first. The event can be broken down into three main categories; night concerts, day music and workshops. The variety that is found in each of these categories is so diverse there is always something new to try, listen to or get involved in. Daytime music features mainly in two venues of the festival (but don’t be surprised if you are surrounded at all times). The Coco Love Stage is set in the Heart of the Dharma community Fair Marketplace and exhibits lively and fun music from musicians and DJ’s sourced from around the world. Traditional Balinese performances including dance, music, and chanting are all are also exhibited. 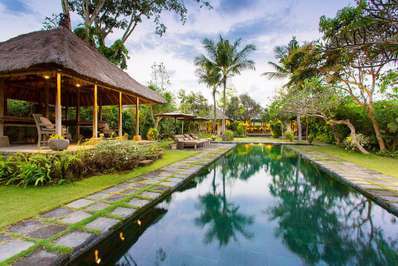 So, relax and fully immerse yourself in the Balinese Culture! The second location for Daytime music is the Sound Temple. The Sound temple is a spiritual retreat for healing sounds and sacred contemplation. The temple offers a varied schedule of events including gong baths, crystal bowl journeys and more. Artists performing at the daytime music events include Cloud People, Kai Mata, Ulaac Tez, Yalaa Kono. Night concerts offer a different type of experience than the day ones. Nighttime events are held under the stars at the sacred Bali Purnati venue. BaliSpirit hopes to create a smaller, more exclusive concert for a more rewarding experience for all of its participants. Night Concerts spaces are available dependent on the ticket purchased – so, don’t miss out and pick the all-access pass to gain access to these exclusive events. Some say that Music is the main attraction of the BaliSpirit Festival…however, the incredible workshops aren’t to be missed either. With many flocking to the various yoga classes and traditions, there are plenty of other classes and seminars to get involved in – most available free of charge. We recommend the personal development seminars for inner growth and mindfulness followed by the dancing and martial arts classes for extrinsic wellbeing. You can buy day tickets, a weekend pass or a pass for the full festival (all 7 days 8 night). The tickets can be purchased online at the BaliSpirit Festival website. Prices start at $120 for a single full day and night pass allowing access to all events. If you wish to experience the Festival with a little more luxury, then why not upgrade to the Abundance Pass. Prices start at $850 for the full week, while the number of availbale passes is limited. BaliSpirit festival is famed for its yoga classes, no suprise. Classes are offered for all abilities across many different yoga traditions, includingVinyasa Flow, Kundalini, Hatha, Jivamukti, Astanga, Laughter Yoga, Afro Flow, as well as Children’s yoga and more! All of the teachers performing at the Bali Spirit festival asare the same enthusiasm for yoga and are passionate about enriching, supporting and enlightening through the sacred art. With classes held by local yogi Carlos Romero to the international style of Cat Kabira, a comprehensive schedule will keep you occupied for the duration of the festival. Aside from yoga, many believe music is the heart and soul of the festival and the beats and tunes are ever-present. From live music accompanying yoga workshops, nights of sacred music to the participatory concerts such as Kirtan (a traditional song, typically about the life of Krishna, in which a group repeats lines sung by a leader), music will fill your heart as well as your ears. Non-stop yoga and dancing are sure to make you hungry! But fear not, the cuisine available at the BaliSpirit will not leave you unhappy. There’s a huge variety of raw and vegan food options, smoothies, salads, fresh juices as well as the bright green wheatgrass shots. The festival practices what it preaches – tasty, simple, colorful food, which is fresh and great to nourish your body and soul. After a laid back yoga class, why not sample something a little more upbeat. Not only does the festival have various forms of Dance and expressionism like burlesque, new age and Drum and danceways, but it also has numerous styles of martial arts classes and techniques to get involved in. Many of the activities undertaken at the Bali Spirit Festival will have healing and Breathwork as one of its founding principles. Hone your skills with a specialized breathwork class, or take a seminar in natural healing to repair and restore from the inside out. Satsang and Dharma is a spiritual gathering where a designated speaker talks about the eternal and inherent nature of reality. This is regarded in Hinduism as a cosmic law underlying right behavior and social order and is taught by the Buddha. Aside from the open workshops, there is a collection of pre-bookable special events. The Healing Huts is a specialized programme and you can select private sessions with over 20 different professionals who specialize in alternative health, medicine, personal growth, and spiritual well-being. The healing huts offer private group or one to one sessions in their own location for your exclusivity. Whether its food, trinkets or extra yoga clothes for that new class you decided to shop, it is all on offer at the Dharma Community Market. Possibly the most appealing feature of the BaliSpirit Festival is that it’s truly international. During your days or week, you are likely to meet people from all over the world, from yoga teachers, healers, and performers. It truly is a one of a kind global event, where you can share your ideas and your dreams with the world and maybe even pick up a few new ones. Children have the opportunity to enjoy a full programme of arts and crafts, dancing, creative workshops as well as storytelling, climbing frames, music, cooking, and painting. Tiny Tots (under 2) can be accompanied by a parent or caregiver. So get the whole family involved in the fun! With its laid back yoga days, mindfulness classes and outdoor relaxation, some might not see Bali Spirit as a partying destination. Whilst the main aim of the festival isn’t to party, night music sessions offer the chance to let loose. Alcohol isn’t prohibited at the festival however you must be over 21 to drink it and must show valid id when requested to purchase it. BaliSpirit is a smoke-free venue and smoking is not tolerated within any area of the festival site. Being naked in any part of the festival, public area or sacred space is also not permitted. Bringing illicit drugs to the festival venue is strictly prohibited. Indonesian law forbids the use of drugs and stipulates severe punishment for offenders. BaliSpirit Festival respects Indonesian law and has a zero tolerance “no use” policy for all classes of substances banned by national law. Get prepared for long days of fun under the sun! Lots of yoga clothes (as it can get very sweaty), but make sure you have some space in your luggage left – Ubud is well known as a shopping paradise! A Yoga mat – you will have to bring your own or buy a new one at the festival – as these are unable to rent. A reusable water bottle – there are plenty of water refilling stations around the festival. Sun cream and a hat – these are vital for the outdoor classes and relaxation time activities. Small towel- yoga can get very hot and sweaty. Plug adapter and charger for your phone.